If you are traveling in Rome and suddenly find yourself or someone you know in need of a hospital, make sure to keep these tips in mind to make your visit less stressful as this process can be exhausting, especially for foreigners. For starters, if you are in a crisis and need help right away call 113. It is the general emergency police number and they will direct you to an ambulance, or you can directly call 118 for medical emergencies. Most of the time if you have an accident and are taking an ambulance, they will bring you to the nearest hospital in order to help you immediately. You can always request to switch hospitals later if you wish to continue treatment elsewhere. If you decide to drive yourself, you can follow the international hospital sign of a white H on a blue background for the hospital closest to you. All public hospitals are listed in the yellow pages under Ospedali, or you can find private hospitals under Case di cura private. Normally public hospitals will provide both emergency and non-emergency services. Private hospitals are sometimes harder to get into and are more expensive. If you would prefer a hospital that has English-speaking doctors, the Rome American Hospital is one of the best public hospitals to go in the city. 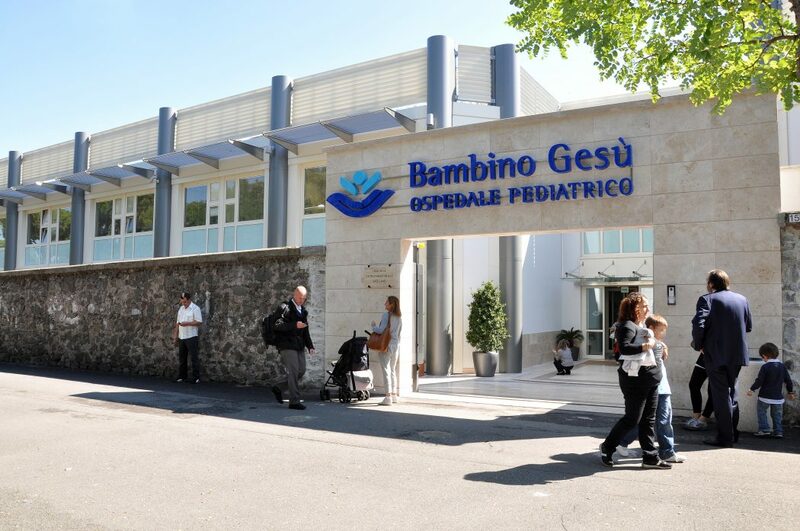 Despite the name of the Rome American Hospital, a majority of the staff and doctors are Italian, however they do speak English or they will find someone to translate for you. Even if you choose a different hospital that isn’t staffed with English speaking doctors, you can most likely receive help with translation at any hospital you visit. Maneuvering Italian hospitals can be quite tricky for foreigners due to the language barrier and the fact that there are only a few hospitals that have emergency rooms or reception desks like you might be used to at home. When you arrive at the hospital, there will likely be a guard outside and he/she can direct you inside where another staff member will help you. Accommodation in public hospitals normally consists of shared rooms that will have three to six beds, however if you prefer more privacy some hospitals do offer single rooms at an elevated cost. When staying at a public hospital, you should bring everything you need with you such as towels, toiletries, and pajamas because not all hospitals will supply you with these items. Although meals are included in your stay, keep in mind that the food may not be the greatest, so it is a good idea to bring snacks to tide you over. If you decide to stay in a private hospital, expect a larger bill. The accommodation in private hospitals is similar to a luxury hotel with private rooms that include air conditioning, television, telephone and extra beds for family if needed. Insurance is another hassle people don’t like dealing with while traveling. All foreigners in Italy have the right to be treated in an emergency, even if they don’t have insurance. If you visit the hospital for something non-emergency related and you don’t have an international health insurance that covers you, you will have to pay upfront before you receive any kind of treatment. If you are looking to get an insurance that will cover you while abroad, there are many affordable plans you can find online. If you are planning a long stay in the Eternal City, it would be wise to make sure your provider would cover you just incase anything were to happen. If you get discharged from the hospital and need a ride home, there are some volunteer ambulance (ambulanza) services such as the Red Cross (Croce Rossa) that will provide you with transportation for a reasonable fee, or you can always ask a staff member for help ordering a taxi. We hope that you don’t need a hospital during your stay, however health care in Italy is rated among one of the best in the world. So if you do find yourself in a situation where a medical visit is necessary, there is no need to worry. You’re in good hands. If you are having trouble choosing a hospital, below is the complete list of the hospitals in Rome.